Multipurpose rooms with capacity for small meetings as well as crowded events, outdoor spaces, and spectacular rooms with panoramic sea views. 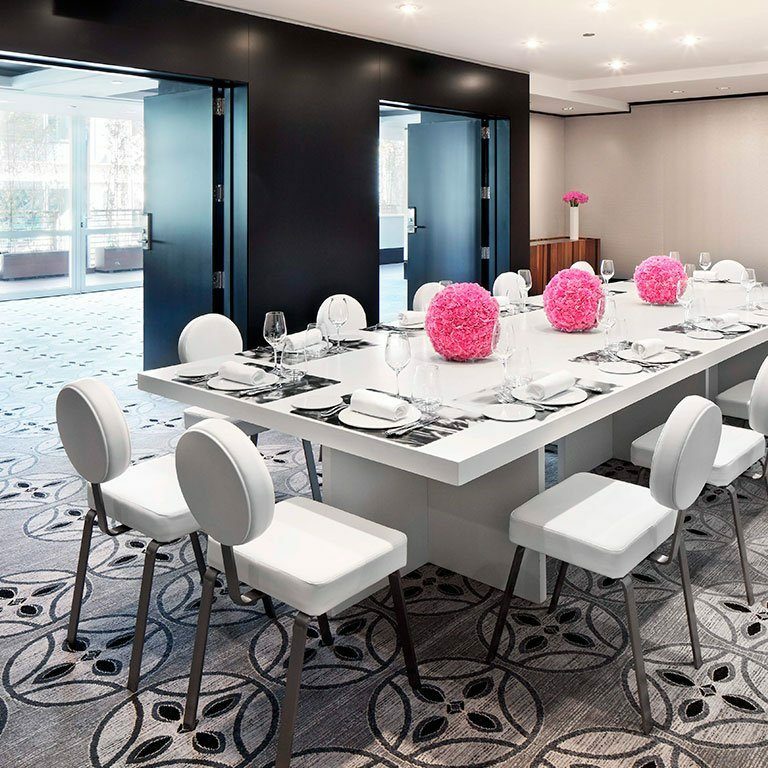 Hotel Arts is the perfect place to hold your event in Barcelona. Hotel Arts has more than 3,500 square meters (37,000 square feet) dedicated to meetings and events, spread out over 21 multi-purpose spaces equipped with the latest technology. Some, such as the Gran Saló Gaudí with space for more than 1,400 people, are flexible spaces than can be adapted to each event’s needs. 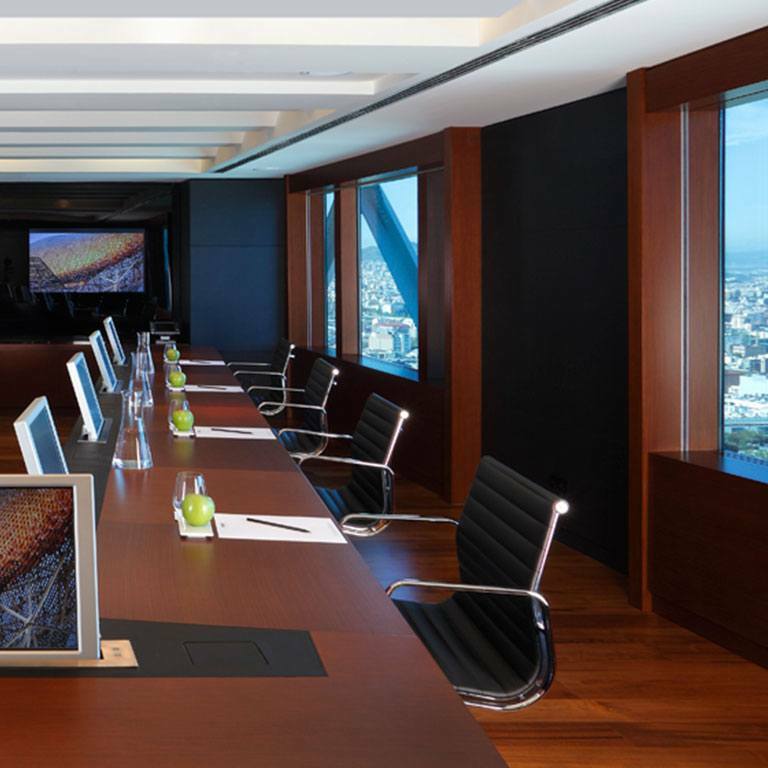 The 41st floor of Hotel Arts is a duplex especially dedicated to meetings and events, whose position at the top of the building offers spectacular views of the Mediterranean and Barcelona. Both floors offer different multi-purpose spaces for executive meetings and banquets, with a private reception that be converted into a bar for cocktails and receptions. As well as being located in a fantastic area for gastronomy and leisure, Hotel Arts has five restaurants with open air or covered terraces. 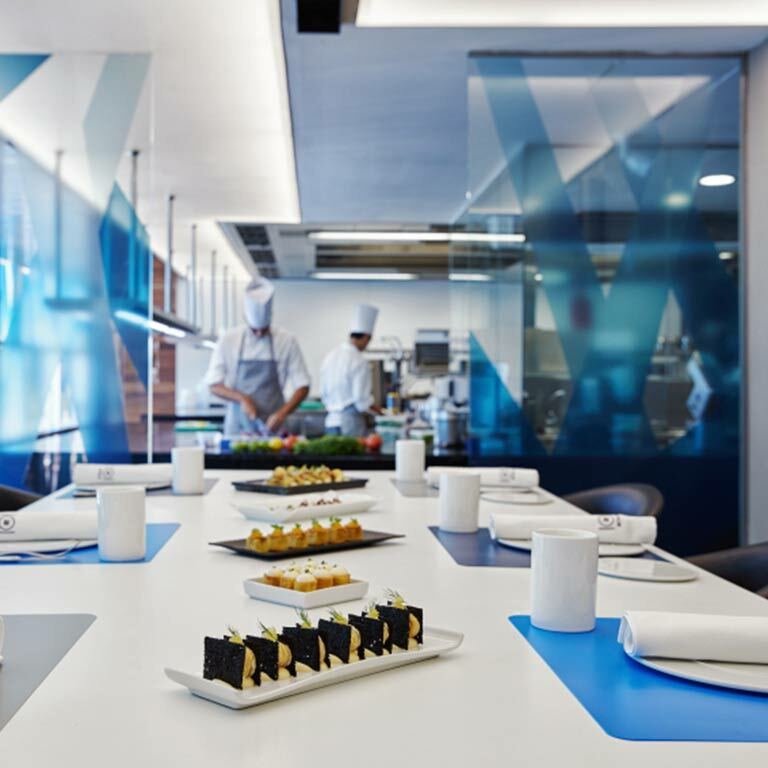 A two-Michelin star restaurant such as Enoteca Paco Pérez, summer terraces such as Marina, gardens with sea views under the gaze of the iconic Frank Gehry fish sculpture… The culinary venues at Hotel Arts offer a range of possibilities.